Ever notice how much cooler photos look when they have rounded corners? Unfortunately, there's no easy way to apply that effect to a snapshot -- not without installing an image-editing program. And even then, not all editors offer that feature. 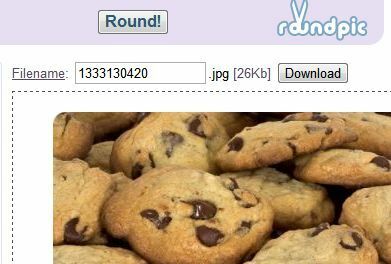 You can get the job done in a flash with RoundPic, a free browser-based utility that turns square photos into rounded ones. It works like this: choose a photo from your hard drive to upload to the service, or paste in the URL of a photo that's already online. Then click Round it! and wait a few seconds. From there you can modify various settings, like which corner(s) should be rounded, the amount of rounding (on a scale from 1-12), the background color (assuming you know hexadecimal color codes), and the size of the newly rounded photo. When you've tweaked everything to your liking, you can give the image a filename and click Download to save it locally. The site is fairly cluttered with ads, but they don't get in the way. RoundPic is a decidedly handy little tool for anyone who wants curvy snapshots without all the hassles of an image editor.